I just love fairy tales! The very act of re-telling a story through generations is a wonderful thing, I love the tradition and the family embellishments that go with it. 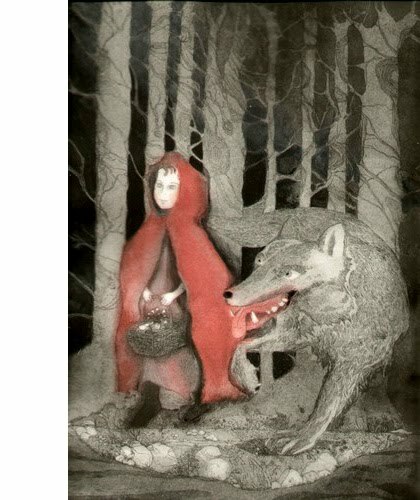 Red Riding Hood is amongst my favourites not least because of her iconic red cape, there are so many illustrations of her, I really love this one. I remember being up far too late one Friday night whilst my parnts were out when I came across The Company of Wolves being shown on Channel 4 back in the early days! It was a delicious behind the sofa experience! I hadn't a clue what was going on, do you remember it? 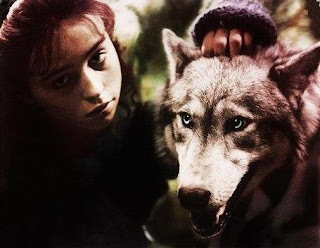 The Company of Wolves was a 1984 gothic fantasy - horror film . The film is based on the werewolf stories in Angela Carter's short story collection The Bloody Chamber ( The Company of Wolves ,Wolf-Alice and The Werewolf ). 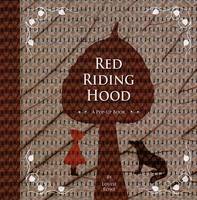 Such a beautiful book and so much Red Riding Hood info - I do love a good fairytale. 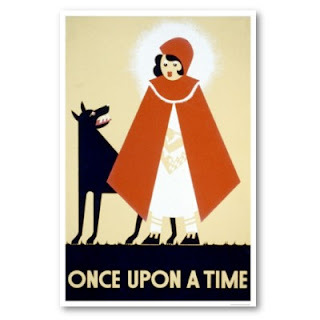 I love this post, always having had a weakness for fairytales, however scary! I just splurged on a hardback copy of the Grimms Brothers Fairy Tales, and will read them on snowy nights infront of the fire! 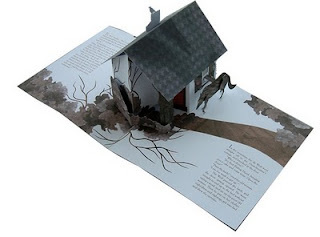 That first illustration is so lovely, and the pop-book would make a brilliant present. hope your weekend is nice and relaxing! 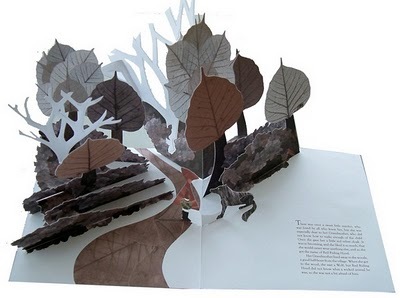 I love the Little Red Riding Hood pop up book! Our daughter loves paper crafts and I can't wait to show it to her! Now, about those wolves and scary movies... I'm a BIG chicken when it comes to horror films! I still believe in the BIG BAD WOLFE! What a beautiful beautiful book...must hunt it down. What a gorgeous book! I will definitely put it on my list of books to get. 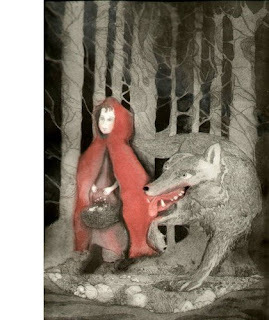 I collect LRRH...because my name, Piroska, means "Little Red Riding Hood" (in Hungarian). what a lovely book. i dressed as little red riding hood for world book day at school this year! What an amazingly adorable book, Sarah. 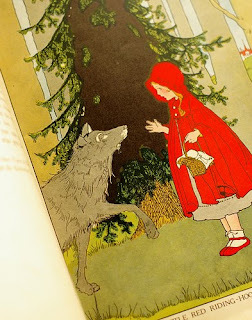 I love the story of red riding hood, especially with Christmas time! Oh that book looks so lovely, I'm sure the recipient will love it. We went for a walk in the woods yesterday,thankfully no wolves just lots of squirrels! 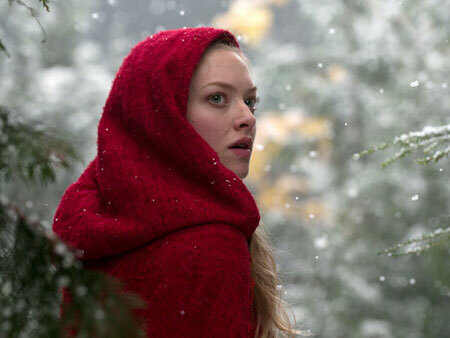 have you got yourself a red cape to wear this winter? traipsing through the woods, Mr B pretending to be a wolf, Mr L can play your hero! I also love traditional fairy tales they are so much more gutsy than a lot of modern stories. I like the sound of the film I wonder if the werewolf will dress up as Grandma? But I am a bit of a scaredy pants and might need a cushion in the cinema. Wow that book looks incredible! Thank you once again for all those Cornwall recommendations - I have returned totally in love with the county!